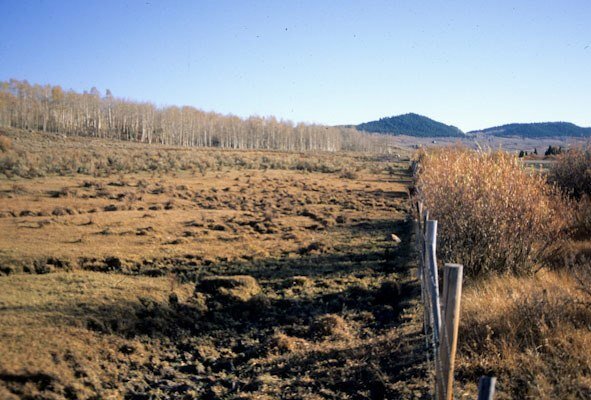 The Upper Green River grazing allotment on the Bridger Teton National Forest (BTNF) lies between the Gros Ventre Range and Wind River Range. The allotment is one of the most important wildlife habitats outside of Yellowstone National Park. 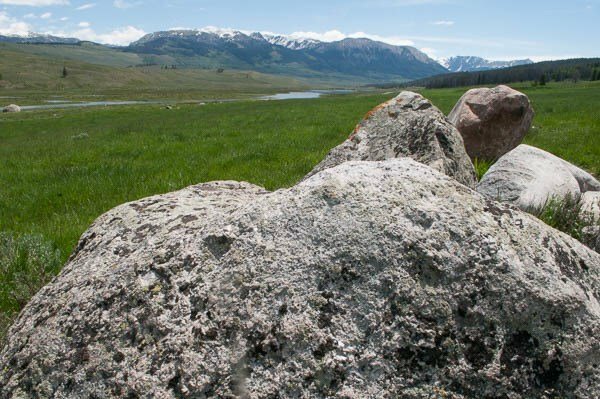 Indeed, the Upper Green’s wildlife habitat quality has been compared to Yellowstone’s famous Lamar Valley. Among the endangered or at-risk species known to inhabit the allotment are Colorado River cutthroat trout, various amphibians, sage grouse, and grizzly bear. 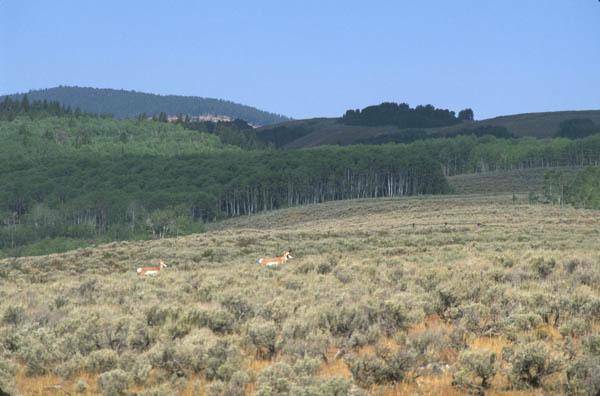 It is also home to significant populations of elk, moose, pronghorn, and mule deer. That is one reason why the BTNF Forest Plan has categorized 93% of the area as DFC 10 and 12 status where protecting wildlife values is the primary goal. Yet the Forest Service manages it as more or less a feedlot for a few local ranchers. According to the Forest Service’s own analysis, the range condition of most of the allotment is between poor and fair. Don’t let the word “fair” fool you: fair is technically 26-50% of potential, so most of the allotment has lost at least half of its original vegetative potential. In range parlance, this means that much of the Upper Green allotment is “cow burnt”. In the BTNF’s Final Environmental Impact Statement, the No Grazing alternative had the most benefits and least impacts on dozens of resource values. In every instance, the No Grazing allotment would bring about more rapid improvement, more positive benefits and better ecological outcomes than any of the other grazing options. Indeed, the only negative impact reported would be on “traditional uses” which is a euphemism for livestock grazing. Since 1995, at least 42 grizzly bears have been killed or “removed” from the Upper Green River allotment including 8 bears this past summer. Grizzly bears are still protected under the Endangered Species Act, and even if they were not, they are still public wildlife that many love to see and know exists, as well as being vital members of healthy natural communities. This raises the inevitable question of why private businesses, namely Wyoming welfare ranchers, are permitted to graze our public lands when their presence is so detrimental to rare and special wildlife like grizzly bears, not to mention negative impacts on sage grouse, boreal frogs, elk, and Colorado cutthroat trout. 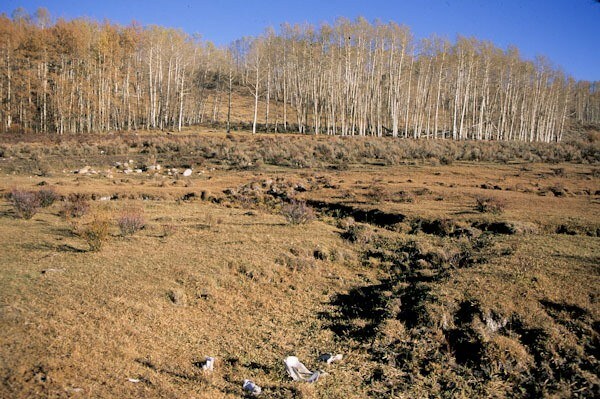 It is clear from the Forest Service’s own analysis that the continued livestock grazing on the Upper Green allotment has significant negative impacts on public wildlife and ecosystems. The BTNF says the Upper Green is supposed to be managed to primarily for wildlife, yet it’s clear from the above that our wildlife is being sacrificed for the financial benefit of a few ranchers. 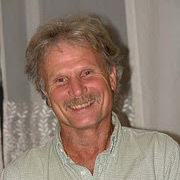 When I queried the BTNF why they allow our public resources to be damaged for private gain, I was given the same old excuse that “we are a multiple use agency and livestock grazing is a permitted use.” But whenever you hear that line, remind the Forest Service that they are working for the American people, not welfare ranchers, and they have an obligation to protect our wildlife and our resources from abuse. Where there is a conflict between private livestock and OUR public wildlife, it is the private livestock that should be removed, not native animals. At this point, BTNF managers appear to favor private interests over the public interest and everything from grizzly bears to Colorado River cutthroat trout are suffering. 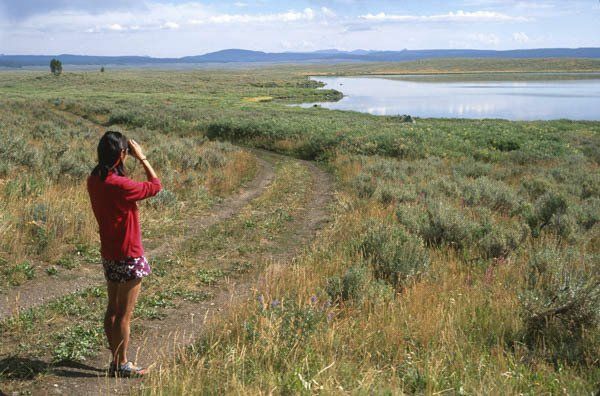 WHAT YOU CAN DO: Write or call Bridger Teton National Forest managers and ask them to close the Upper Green allotment due to conflicts with endangered species. Remind them that their own Forest Plan calls for putting health of wildlife populations and habitat first. This is an important issue. Thank you George for the background. I’ve had federal agency people tell me a couple times that “multiple use” does not require all uses be allowed on every acre. So how about they get the multiple use cows off areas critical for the use of multiple wildlife species such as the Upper Green. I called Bridger Teton Forest and got on their list of people interested in weighing in on Forest Plan Revision, which has not yet been initiated for the BTNF.